In particular, it is available to record enhanced brightness and clarity images for both night & day time with night vision function. It also supports advanced driver assistance systems (ADAS) such as lane departure warning (LDWS), Front collision warning (FCWS) and Front vehicle departure warning (FVDW). It also features a wireless Wi-Fi function that supports real-time recording and video playback, file downloads etc. The 3.5 inch touch LCD enables to check real-time recording and so on. Despite its high-performance versatility, “IROAD T9F” boasts best-in-class power consumption. 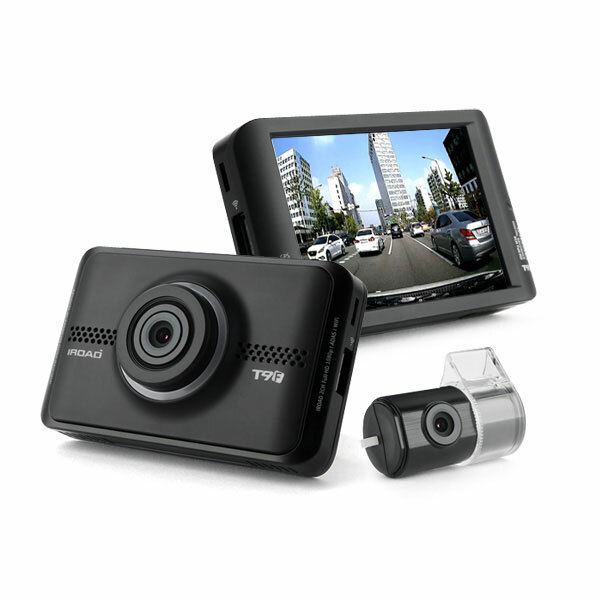 In addition, if the vehicle battery voltage drops below the standard, the power of dash camera shuts down automatically. It created a format free storage system that increased video storage reliability. Furthermore, it has automated memory card restoration function and preventing visual proof function.